Application Forms are available for many purposes. 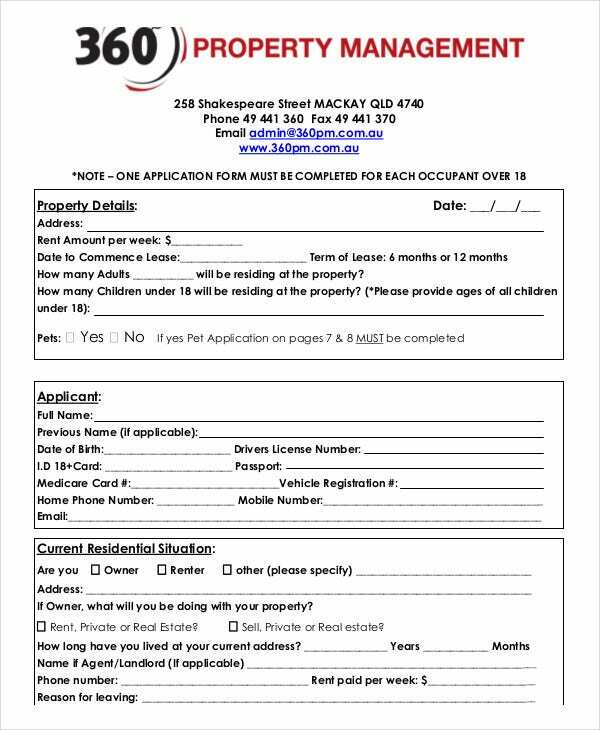 Application Forms serve in capturing the complete details of properties and the owner as well as the person who wants the same for rent or lease. 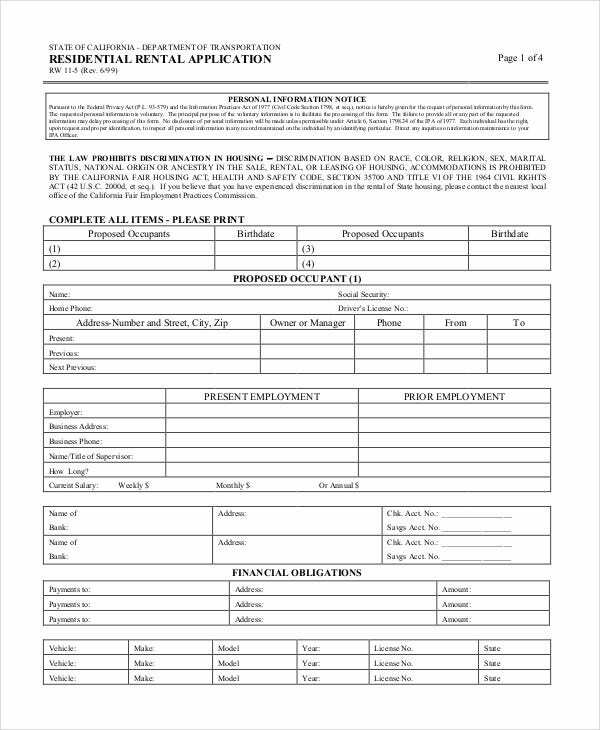 Such Application Forms are termed as Rental Application Forms. These are available in standard formats that are downloadable for free for the users. These are termed as Agreement Forms and Lease Agreements. Application form Templates are highly useful for many purposes. 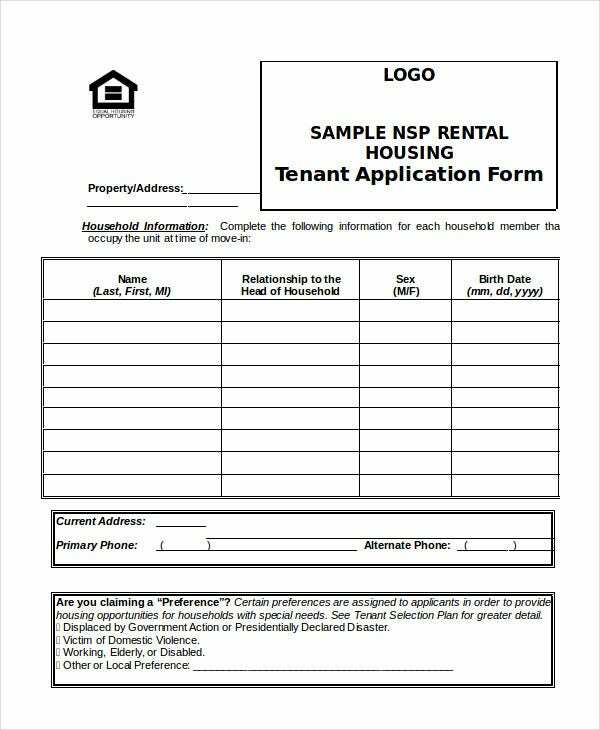 Sample Rental Housing Tenant Application Form is a format that captures complete details pertaining to the house that is to be rented out and the tenant who is occupying the same. 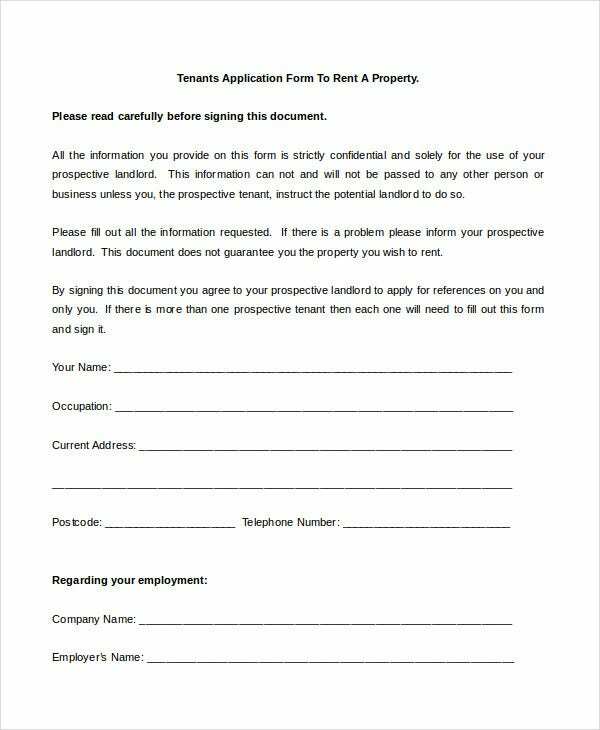 Rental Application Form for Residential Premises is a format that captures information required for residential premises. It is a simple format that can be easily used by the users. 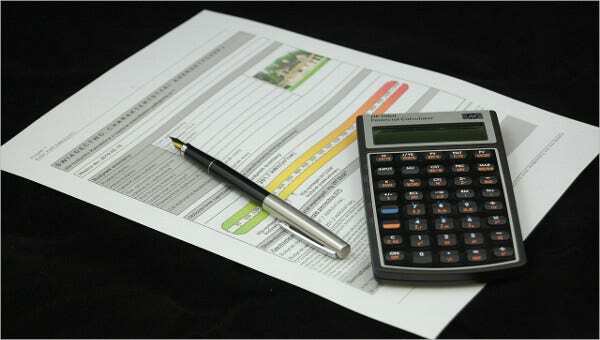 > How to use Rental Application Forms? 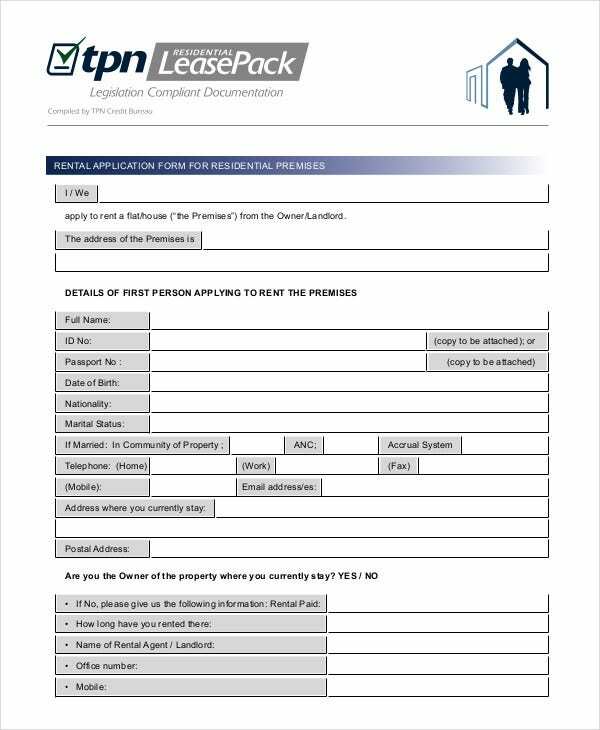 Rental Application Forms can be downloaded free of cost by people who have a requirement for the same. These forms are customizable formats. People can download these forms and make changes to suit their requirements. These forms capture all aspects pertaining to renting and leasing of properties which are both residential as well as commercial in nature. You can also see HR Application Forms. They are designed in such a way that they support modifications by the users. These forms can be downloaded by users as many times as required and there are no restrictions set to the same. People can choose from the many types of rental agreements available. 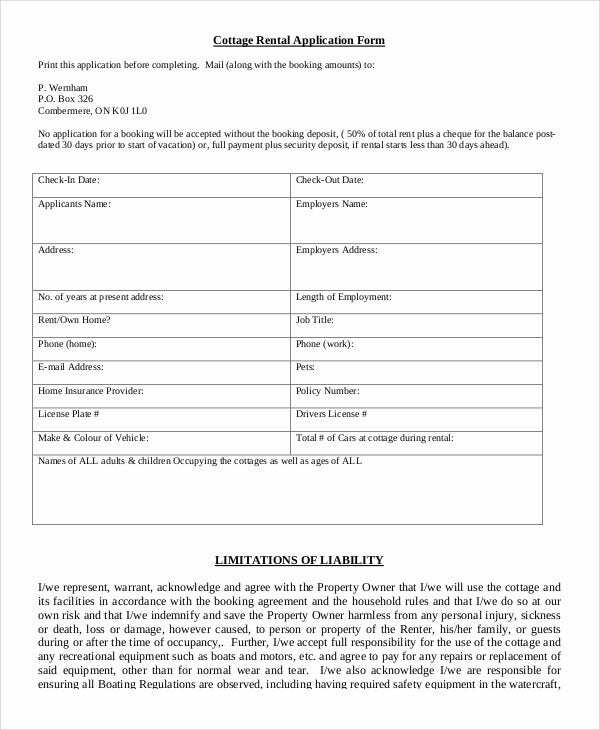 Cottage Rental Application Form is a format that captures complete details about hiring a cottage for rent. This format can be easily downloaded and used. 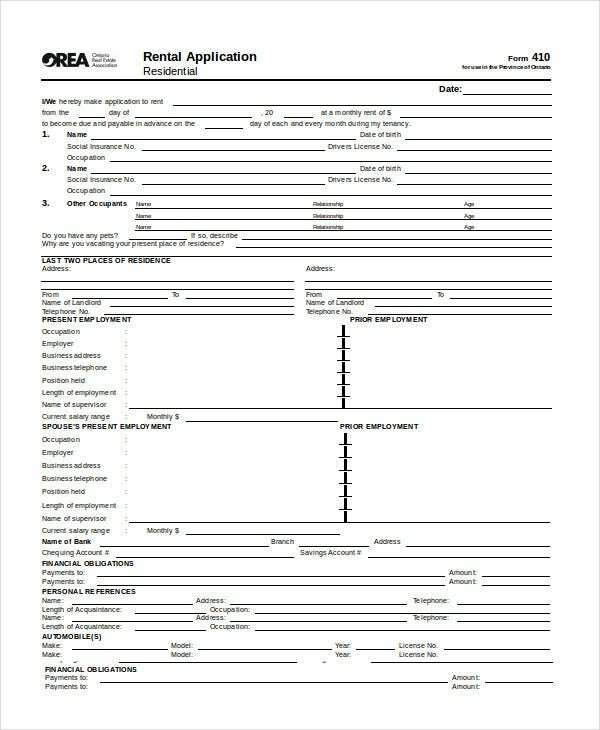 Residential Rental Application Form is a format that captures rental details and the other related details in a meticulous manner. This form is customizable by users to suit their requirement. 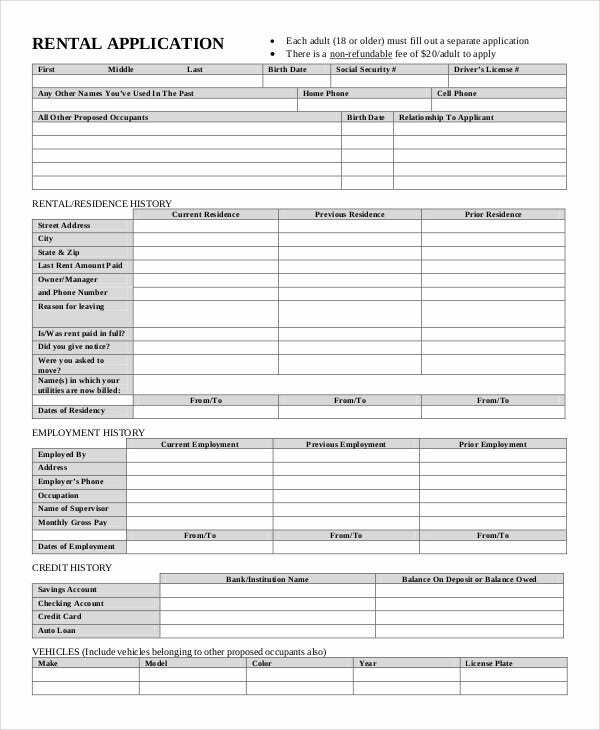 Lease Rental Application Form is a format which captures all the details pertaining to lease and related clauses in a standardized manner. It is a simple format that offers ease of use. > Who benefits from the Rental Application Form? Property owners who want to rent out or lease out their residential property or commercial properties benefit from this format. People who want to occupy a property on a rental basis or lease basis also gets benefitted through this format immensely. You can also see Disability Application Forms. These formats are available for free download for users and so any user may download them for their use at any point in time. 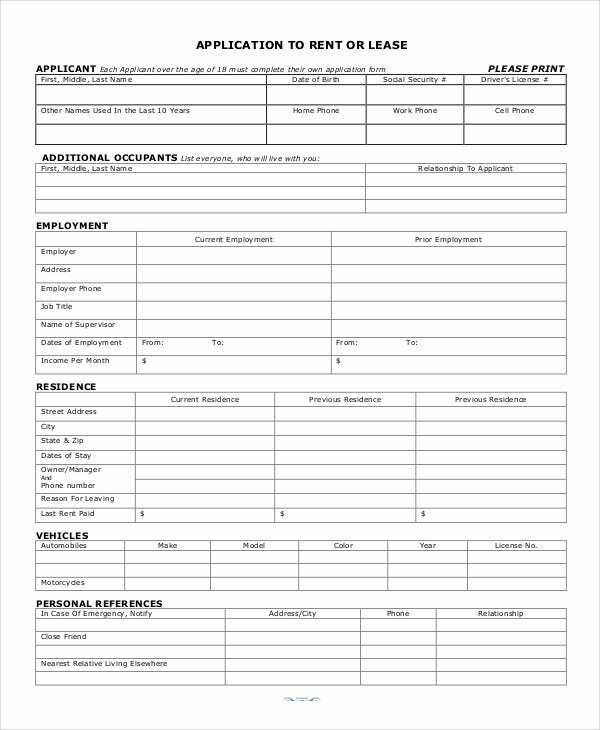 Rental Application Forms can be downloaded innumerable times by any user who wants to use the different types of these forms. These forms are easy to use and offers customization too. 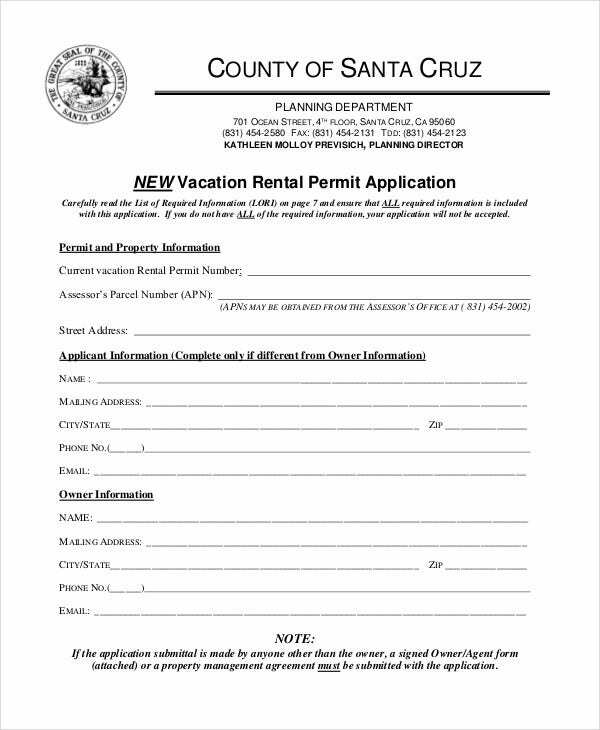 Download the Rental Application Form free of cost. Download them as many times as required. These forms offer easy customization by the users so that users can make any type of changes in the format. Rental Application Forms often satisfy legal and statutory requirements also in a complete manner.